Glanbia’s Martin Tynan talks about the challenge of meeting the BordBia Sustainable Dairy Assurance Scheme. Courtesy of its open source sustainability and quality assurance codes, Glanbia, the global nutrition group, is working to assist each of its members to fully comply with the new BordBia Sustainable Dairy Assurance Scheme. This was one of the key themes addressed by Martin Tynan, the general manager of the processer’s ingredients plant in Co Cavan, when he spoke at the 2015 Environment Ireland conference. “There has been much debate about the need to ensure that Ireland’s dairy industry can deliver from farm to plate when it comes to meeting the expectations of our export customers, in terms of both product quality and traceability,” he said. 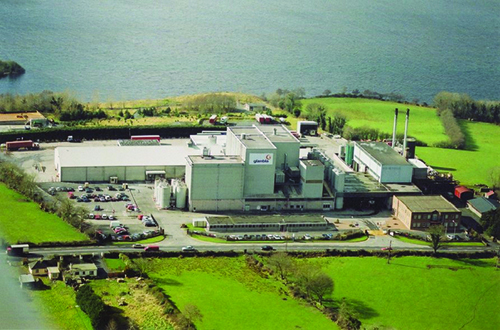 “A core management team has been put in place to ensure that all of this becomes a reality from a Glanbia perspective. There are six staff involved, all of whom have already started to make individual contact with the co-op’s 3,000 plus member suppliers. Tynan confirmed that all of the co-op’s sustainability team have a graduate qualification in agricultural science or an equivalent professional background. But Tynan was equally adamant that all quality assurance schemes require a degree of hard lifting on the part of individual farmer applicants, so as to ensure that all the necessary husbandry, management and hygiene standards are maintained. “After all, dairy farms are food factories. So it’s important that all of the obvious parameters are looked at. These include the general state of the farm, particularly the yard, the specific hygiene standards associated with the milking plant, parlour and dairy plus the housing facilities for the stock and the associated feeding practises. By far the most innovative aspect of the new Glanbia code is the proactive way in which it addresses the global footprint challenge confronting the Irish dairy industry. “This must be brought down to the level of each and every individual producer,”Tynan explained. “The last thing we want to do is baffle farmers with science. So we have come up with a very practical way of assessing the carbon footprint generated on the farm of each Glanbia supplier. In achieving this we have noted those gases which make the greatest contribution to global warming. These are methane, nitrous oxide and ammonia. We know how they are produced and so, working back from this, farmers can put in place management practises that help minimise their levels of production. “For example, methane production is linked to the quality of feed consumed by a ruminant animal. 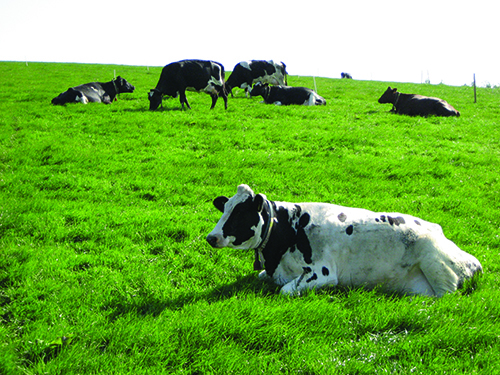 The lower the quality of forage on offer: the higher the levels of methane produced. It then stands to reason that farmers who practice extended grazing techniques in the early spring and late autumn will be reducing their carbon footprint by so doing. We also know that adopting slurry and farmyard manure spreading practises in ways that optimise their fertiliser value will help minimise the level of nitrous oxide emissions. But Tynan also stressed the need for Glanbia to do its part in delivering long term sustainability at farm level. Referring to the recent downturn in global milk markets, he confirmed that volatility will be a key challenge for processers and farmers alike over the coming years. Given this backdrop Tynan said it was significant that approximately 20 per cent of Glanbia’s 4,800 dairy farmer suppliers have signed up to the co-op’s milk supply price model of 32c/l. Volatility management schemes will be critically important for the future. These will go hand-in-hand with an investment programme on the part of Glanbia to put in place the processing capacity, which will allow them to add optimal value to every litre of milk they receive. Tynan said that the Irish dairy sector had undergone a revolution in the way that it goes about its business over the past number of years. “Glanbia has an excellent track record in this regard. A case in point has been the growing recognition of whey as an extremely valuable protein source. “Forty years ago it was seen as nothing more than a waste product. But, today, whey is at the very hub of the fast growing sports nutrition industry. 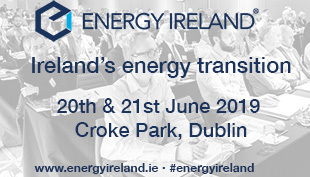 “We can also reap the benefit of Ireland’s green, clean image. But talking the talk is not good enough, we must prove to our customers around the world that we can consistently deliver dairy products of the highest quality with a low carbon footprint.